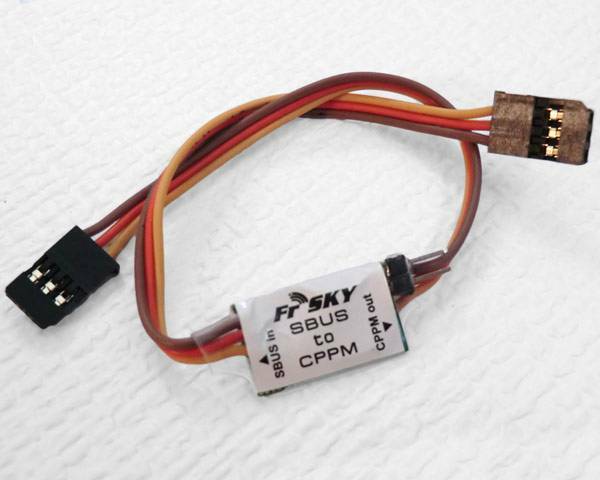 The FrSky SBUS to CPPM Converter will allow you to connect SBUS receivers to flight controllers that only accept CPPM signals. 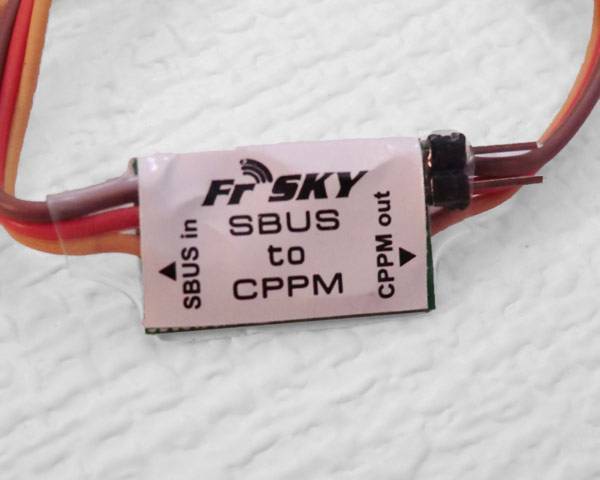 The FrSky SBUS to CPPM Converter can convert SBUS output into CPPM output. This can be very handy for connecting SBUS receivers to flight contollers and other devices that only offer CPPM inputs. Compatible with recievers that feature the SBUS port. Some examples are the FrSky TFRSB receivers and the Futaba S.BUS receivers (R6208SB, and others) as well as others.